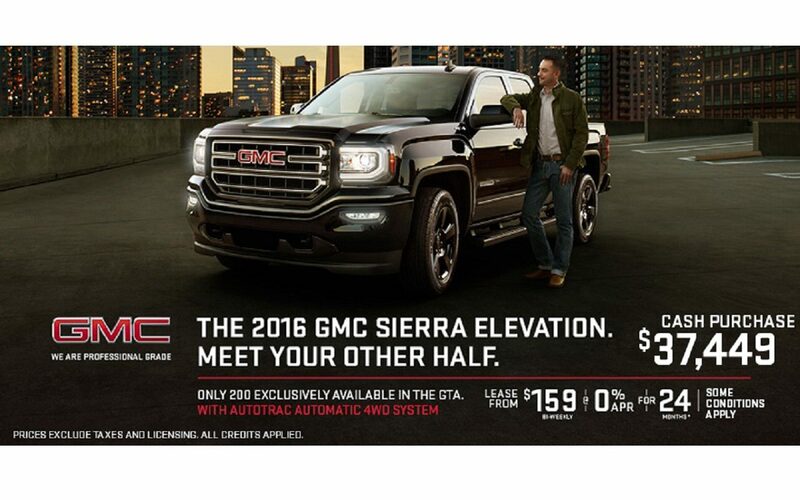 Lease offer is based on a 24 month lease for 2016 GMC Sierra 1500 Double Cab Elevation Edition, with 9.1% effective APR. Annual kilometre limit of 20,000 km, $0.16 per excess kilometre. OAC by GM Financial. Monthly/ bi-weekly payments may vary depending on down payment/trade. A down payment or trade of $3,900 and $0 security deposit is required. Cash purchase price includes all credits. $1,000 visa loyalty applied. Contact us for further information.